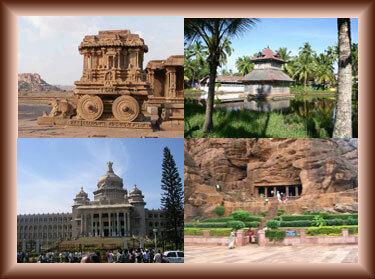 Shawnels Resorts South India Tours package to Badami. Badami is situatedl near Bijapur city in Karnataka state. Badami is a center of Early Chalukyan art. Badami is located at a distance of about 500 km from Bangalore, the capital of Karnataka and is well connected by road. 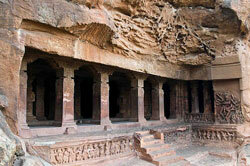 Badami also known as Vatapi was the center of ancient Chalukyan glory. It was home to several rock-cut temples and structural temples. Legend has it there were two demon siblings Vatapi and Ilvala, who had a trick by which they could kill and make a meal of mendicants passing by. Their tricks worked until Agastya muni came by and counter-tricked them and brought an end to Vatapi's life. Two of the hills in Badami are supposed to represent the demons Ilvalan and Vatapi. Dating back to the 5th century CE has gigantic carvings of Ardhanareeswara and Harira manifestations of Shiva in bas relief. It enshrines a Shivalingam. In the adjacent wall there is a carving of the cosmic dance of Shiva Nataraja depicted with eighteen arms. 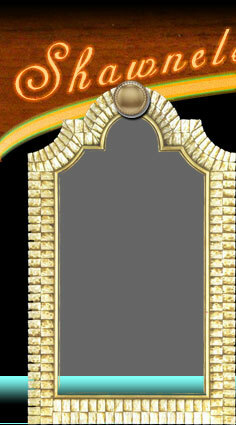 There are also reliefs of Ganapati, Shanmukha and Mahishasuramardhini. Bears images of Vishnu in his Varaha and Trivikrama incarnations. It is reached through a flight of 64 stairs from the first one. On its ceiling, are carvings of Vishnu on Garuda and several other scenes from the puranas. This Rock cut temple is reached from the 2nd temple through a flight of 60 steps. It is a 100 feet dep cave, with inscriptions dating this Vishnu temple to 578 CE during, the period of Kiritivarma Chalukya. Here there are carved images of the Narasimha and Trivikrama avataras of Vishnu. There are also murals depicting the divine marriage of Shiva and Parvati.